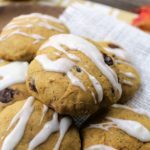 These delicious fall cookies with white frosting drizzled on top burst with pumpkin and chocolate flavor. 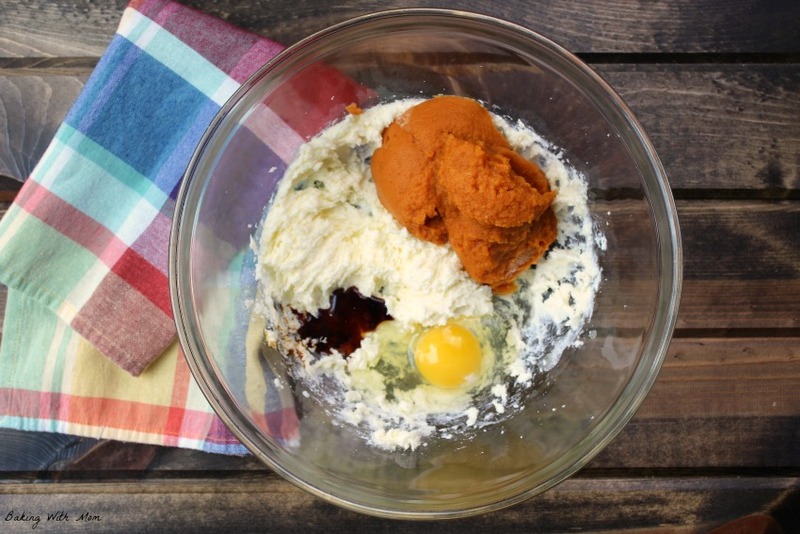 Frosted pumpkin chocolate chip cookies are exactly what the name applies. They are also a delicious and wonderful fall dessert your family will love. They would be great to take to a bonfire or for the classroom fall party. Kids would love soft moist cookies with chocolate and frosting. You can just taste them, can’t you? 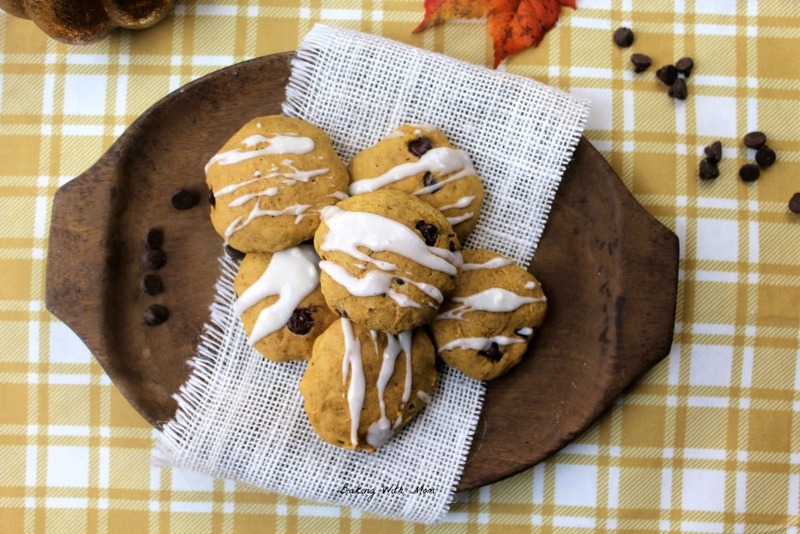 As I mentioned above, these pumpkin cookies are a great dessert and are so moist and soft. In fact, when you make them, they don’t flatten on their own, instead, you have to flatten them with a spatula or the bottom of a glass. Then they puff up again. Oh, yum. 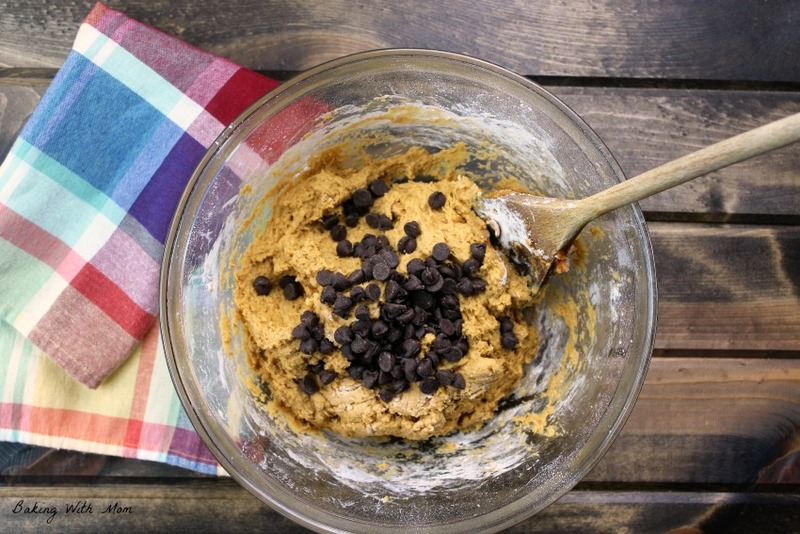 The ingredients are few and the cookies can be whipped up rather quickly. 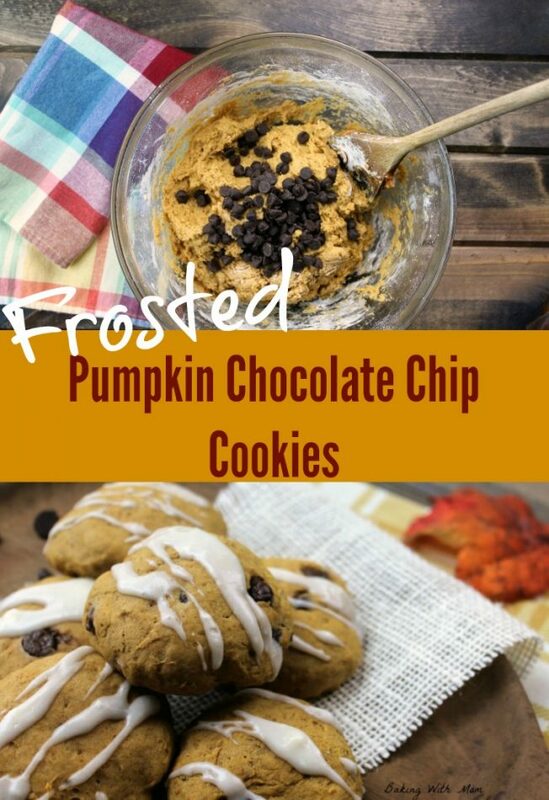 They also bake quickly too so if you are in a hurry for an easy to make frosted pumpkin chocolate chip cookie, these would be it. 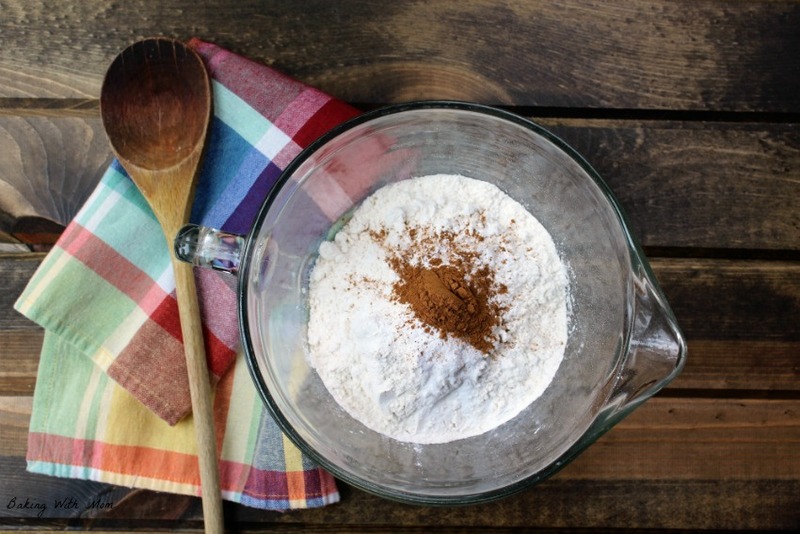 First, mix together flour, baking powder, baking soda, salt and of course, cinnamon. Then cream together butter and sugar. Next, add in the egg, pumpkin and vanilla. Of course, the most important part, ahem, the chocolate chips. I would imagine the pumpkin would be the most important part but go with me on this. Place the cookies on a greased cookie sheet and bake at 350*. The greased cookie sheet is different then normal cookies. With other cookies, you don’t need to grease the sheet and it actually will make the cookies spread. 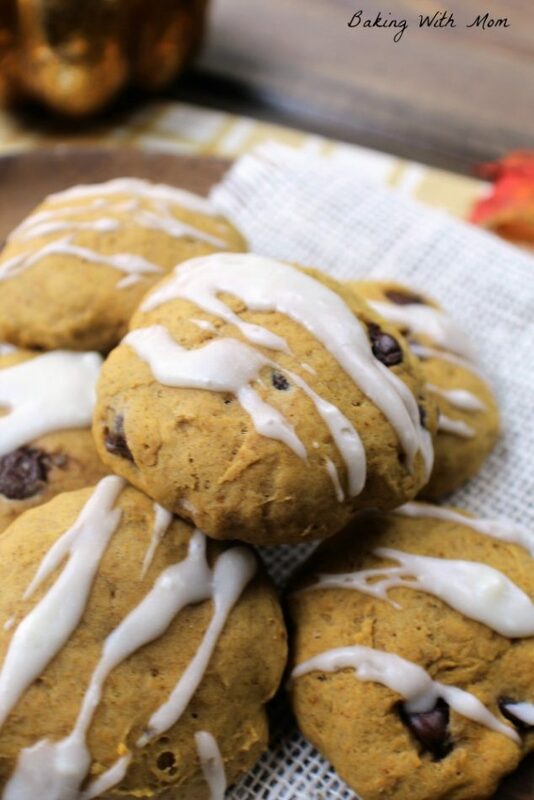 These pumpkin cookies are different, so be sure to grease the sheet with a cooking spray. Deliciously frosted pumpkin cookies with a twist of chocolate in every bite.